Have you ever considered how difficult it is to keep personal resolutions this time of year? Think about it! When New Year’s rolls around we encourage ourselves to eat better, get “fit,” and be more active, all while fighting against instincts that tell us to indulge in comfort food, sleep more, and bundle up inside where it’s warm and where Netflix is waiting. Paint your feelings. 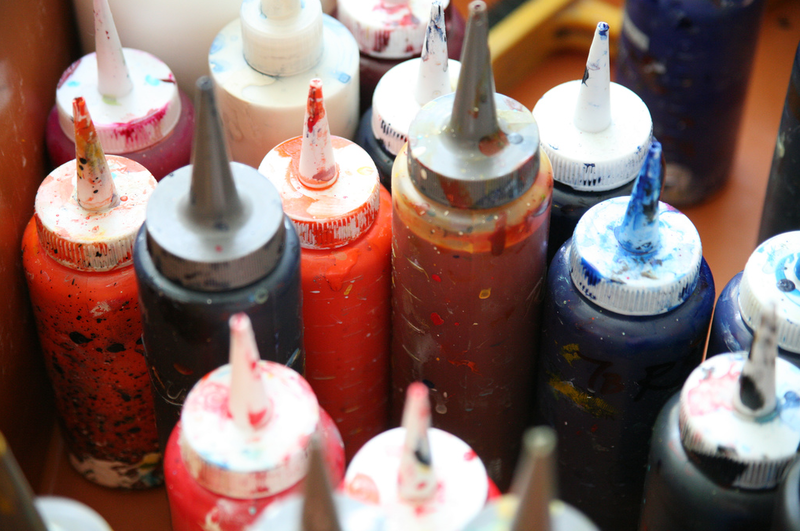 One of the things that holds people back from incorporating art into their self-care regimens is the misconception that one has to be artistically talented to practice art therapy. This is definitely not the case, as art therapy (and art) is for everyone. By painting something intangible like your feelings, you won’t feel limited by your artistic inexperience in the same way you would if you were trying to paint something realistic like a landscape. Just allow yourself to space out and paint what you feel! Start keeping a journal. If you identify as someone who prefers written words over visual art, perhaps starting a journal is the best way to creatively de-stress. Don’t put pressure on yourself to write every day, or even every week if that isn’t realistic for you. Instead, resolve to use your journal as a resource when you are feeling overwhelmed. Writing lists, recalling dreams, jotting down what you ate for breakfast this morning, and writing pages and pages about your day are all things that can benefit your anxiety levels in equally important ways. Paint while listening to music (or simply listen to music). Most of these art therapy exercises are designed to take a person’s mind off of their woes, and transport them to a safer, more stress-free place. Listening to music is something that calms and inspires many people; listening to music is something that can easily transport you from your anxiety. Paint while listening to music for an extra creative push. Finger paint. Not just an activity for little kids, finger painting is a creative exercise that allows you to be playful while getting your hands dirty. This is another great way to incorporate art into your self-care routine because it doesn’t demand perfection, and involves awakening multiple senses. Take photographs of things that you find beautiful. If you find yourself feeling a little blue during the winter months, take a walk and take photographs of things that inspire you. You don’t have to be a skilled photographer to snap photos of beautiful things; simply walking around your neighborhood with your phone to document inspiring images can help melt away anxiety. Create a collage of your anxieties. Using old magazines and newspapers, clip words or images of things that express your worries, and turn those paper “worries” into a collage. This exercise provides control to those who are feeling bogged down by their anxieties; seeing those internal concerns displayed in a collage of your making will allow you to process them in a different way, while stretching your creative muscles. For even more ideas about how to use art to de-stress and improve your overall wellbeing, take a look at this expansive list of art therapy exercises from Expressive Art Workshops.